For rhythmical fishing with light spinning tackles. Darting action appeals to your target by twitching your rod. 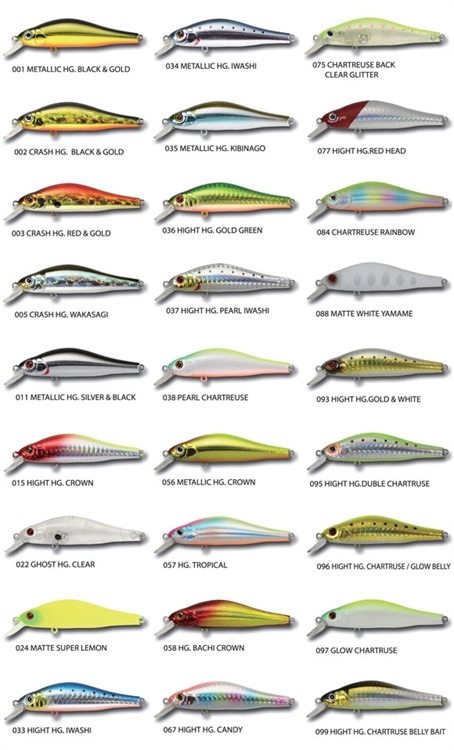 This is the versatile lure for blackbass, perch, trout, the small fish in the sea. F-type (Floating) for active fishes, SP-type (Suspending) for inactive fishes and when the water temperature is low.